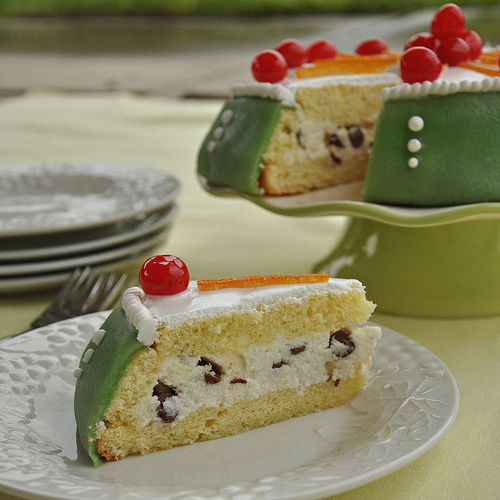 So once again the christmas season is upon us and my search for a halfway similar Cassata cake resumes. Since Cassata is a traditional Sicilian dessert served around the holidays when I came back from Italy 3 years ago I figured I would have no problem seeking it out. WRONG. To date, I have tried probably close to 15 different Cassata cakes, in Little Italy, in Chicago, in North Jersey, down the shore, in Philadelphia and even a few homemade ones but NOTHING even comes close. I don’t know what it is other than a regionally learned craft and skill but outside of my cousins home in Genova I am destined to be forever searching for my White Pony of a dessert! My challenge to you, my dear readers is to find me my cassata! I am opening the floor to you. 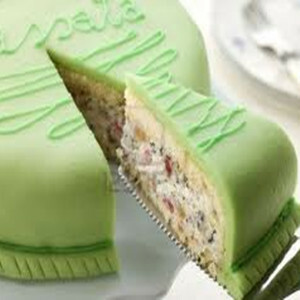 For the lucky individual who can find me my cassata you will undoubtably be my eternal dessert hero. A 25 dollar gift card of your choosing is waiting for you as well. Pink, Ice Cream, Custard based, Vanilla or Yellow Cake based, a pile of cannoli cream, fruitless, whipped cream based or any variation! Green, Marzipan based, Cannoli Cream based, the perfect ratio of cream to candied fruit to cake to amazing. Here are a few pics to guide you in the right direction.